Guelph has its own Nuit Blanche now, apparently, and I’ll be there with the Lollipops at 2:30 am on Saturday (technically Sunday morning) in the Guelph CIty Council Chambers. The Music Gallery just announced the lineup for X Avant V, which I got to curate this year. Details at the Music Gallery website. 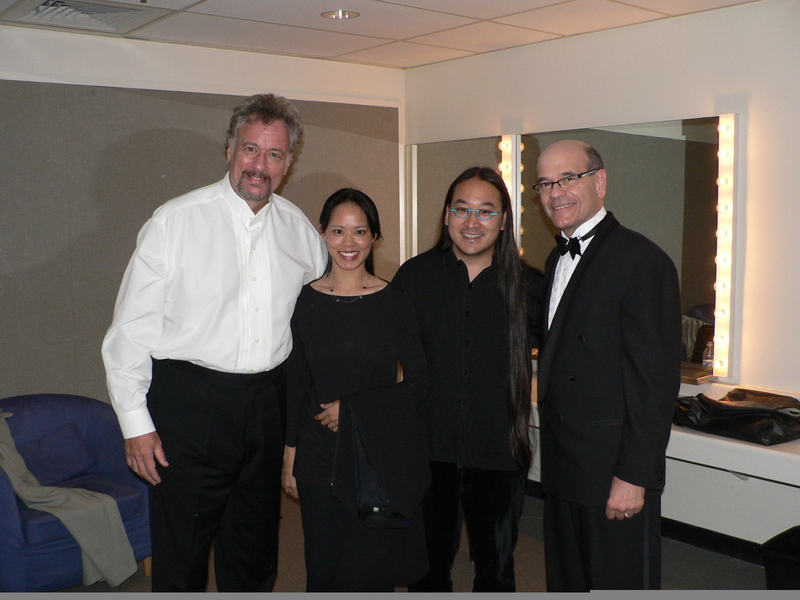 Finally, check out this photo I dug up from a Toronto Symphony concert. Hint: one is a hologram, one is a harpist and one is omnipotent. You are currently viewing the archives for September, 2010 at Gregory Oh.